This is the easiest snack to make when you purchase pre-washed baby kale. I bought a pound for five dollars at our local grocery. Just throw a couple of handfuls on a baking sheet with a sprinkle of olive oil and a pinch of sea salt. Then shake a bunch of nutritional yeast over top. It makes the chips taste cheesy – and is full of energy-boosting B vitamins. 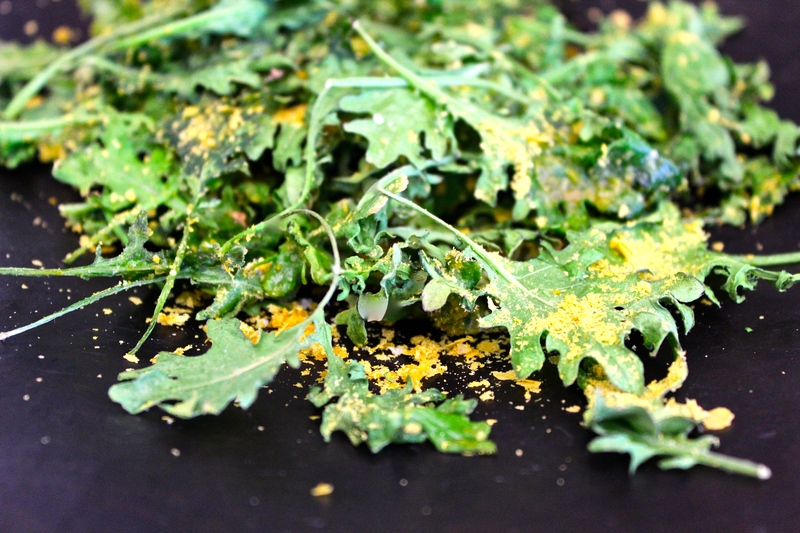 Bake at 350 degrees until the kale becomes crisp but keeps its bright green color. On day 42 of this 365 day project, I ate my daily five (including some amazing “Honey Bunch” grape tomatoes). Did you enjoy yours?